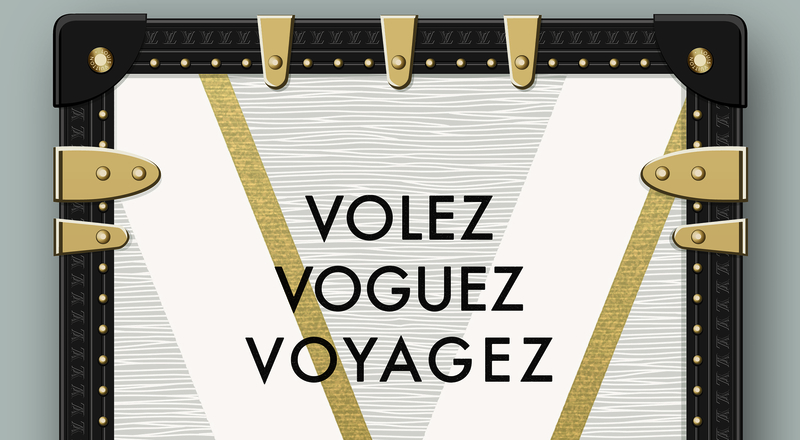 Louis Vuitton invites visitors on a journey into its history with the exhibition “Volez, Voguez, Voyagez” at the Grand Palais in Paris, from December 4 to February 21, 2016. An exceptional opportunity to discover the universe of the iconic leather goods House. 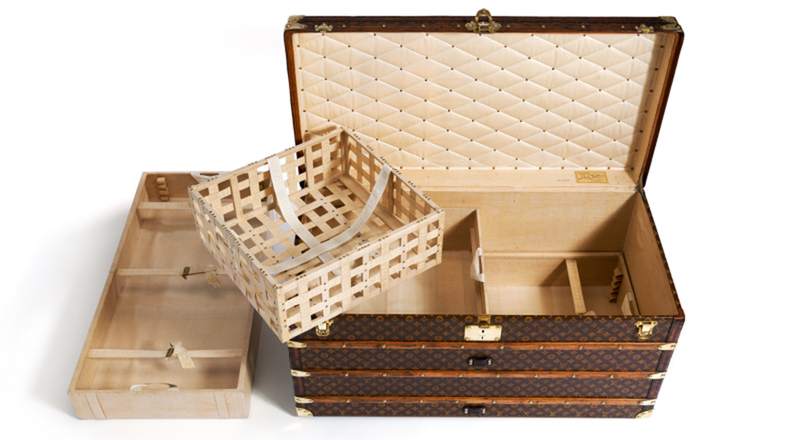 The exhibition, which retraces the remarkable journey of Louis Vuitton, is being held in an appropriately exceptional venue, the Grand Palais, evoking historic links with the trunk-maker. The Grand Palais was built in 1900 for the Paris Universal Exhibition of 1900 and included a “Travel & Leather Goods” section, overseen by none other than Georges Vuitton. The Maison showcased the contemporary elegance of luggage and bags at an attention-grabbing booth in the form of a merry-go-round. From a trunk made in 1906 to men’s bags for elegant dandies, the exhibition presents the myriad aspects of travel that have always inspired the House. Visitors are plunged into the history of the trunk-maker as they embark on a thematic journey in nine chapters designed by Robert Carsen. Olivier Saillard, Director of the Paris Fashion Museum and curator of the exhibition, delved deep into Louis Vuitton’s heritage collection and archives to select the unique objects and documents displayed. Through this discovery of Louis Vuitton’s roots, the exhibition offers insights into its inspirations. 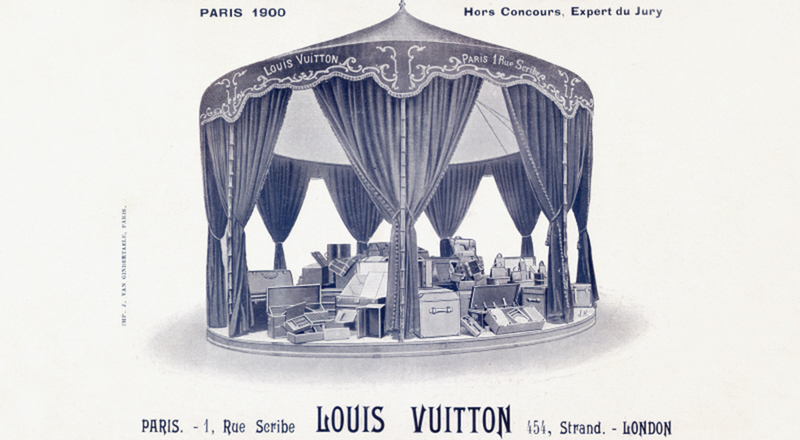 “Louis Vuitton has always been at the avant-garde of creativity. Over a century after the first Universal Exhibition, our Maison remains at the forefront of fashion precisely because we continue to draw inspiration from our heritage while anticipating future trends,” notes Michael Burke, CEO of Louis Vuitton.